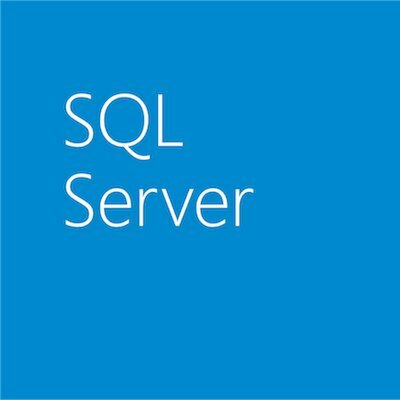 Today February 14, 2011 Microsoft announced SQL Server Fast Track Data Warehouse 3.0 at TDWI World Conference in Las Vegas. Fast Track Data Warehouse is a set of Reference Architectures that help customers and Partners reduce time to solution and cost. Fast Track also provides significantly increased performance and scale through pre-tested and pre-tuned configurations. For partners, Fast Track Data Warehouse 3.0 breaks new ground by offering tools to build and test their own Reference Architectures. Microsoft validates all tested configurations for conformity with the Fast Track guidelines. As a result Partners now have more control and flexibility as they can design and test their own configurations. In addition they can now build Fast Track solutions that are clearly differentiated from their competitors’ offerings. Faster performance – delivered via new Fast Track configurations that take advantage of the latest hardware innovations. The latest configurations have double the data throughput of their current counterparts. HP’s latest 8-processor Reference Architecture has peak data throughput of up to 15GB/s, which translates to much faster queries. Increased scale than ever before! The latest configurations on HP’s G7 servers offer double the capacity of their current equivalents. Fast Track 3.0 configurations now scale to 80TB on a single 8-processor server! Greater choice with configurations from several Partners. Existing Partners – HP, Dell, IBM, Bull, and EMC continue to innovate, while new Partners are being on-boarded e.g. Cisco, Hitachi Data Systems and Fujitsu, with EMC and NetApp being storage providers to a few configurations. We are also pleased to announce that WhereScape is the first ISV to build a solution for Fast Track Data Warehouse! Several System Integrators such Avanade, HP, EMC and Hitachi Consulting Services also offer services for Fast Track Data Warehouse. 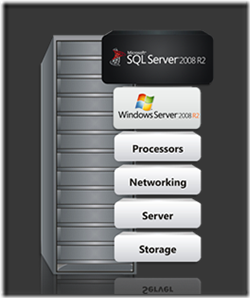 Microsoft has three key Data Warehouse offerings including SQL Server 2008 R2, Fast Track Data Warehouse and Parallel Data Warehouse. Together, these offerings enable customers to scale their warehouses from gigabytes to hundreds of terabytes on a SQL Server platform. Fast Track helps customers to scale up to tens of terabytes while Parallel Data Warehouse is ideal for workloads with hundreds of terabytes and very high performance. Finally, Microsoft has a unique Distributed Architecture that supports Data Warehouses deployed on both Fast Track and Parallel Data Warehouse. Yesterday was the official kick off of the Data Warehouse Institute (TDWI) World Conference 2011 in Las Vegas. For all of those TDWI attendees out there come to Booth #203!